Valerie Kuehne. Photo by Anya Liftig. 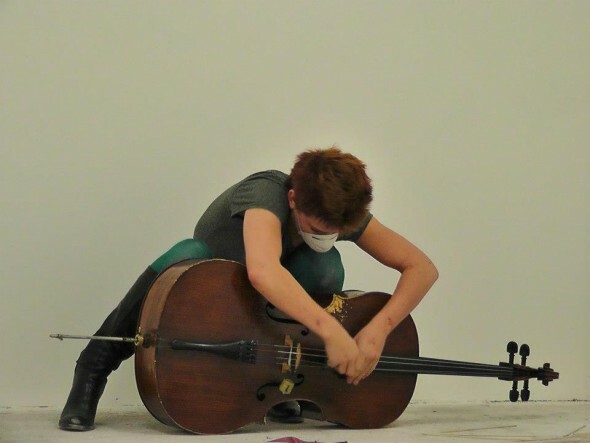 Drkmttr has another great show tonight, this one feature Brooklyn, New York’s experimental string/percussion ensemble Valerie Kuehne & the Wasps Nests. Pretty spectacular stuff. The show also features The Holy Mountain Top Removers and Justin Clark. Listen to the streams below to see if it’s your thing. Show starts at 9 p.m. $5 to $7 sliding scale admission. More details on the Facebook event page.